There aren’t many things that I’d wait over 30 minutes in line for by myself, and more than once. Mr. Holmes Bakehouse’s cruffin is the exception. 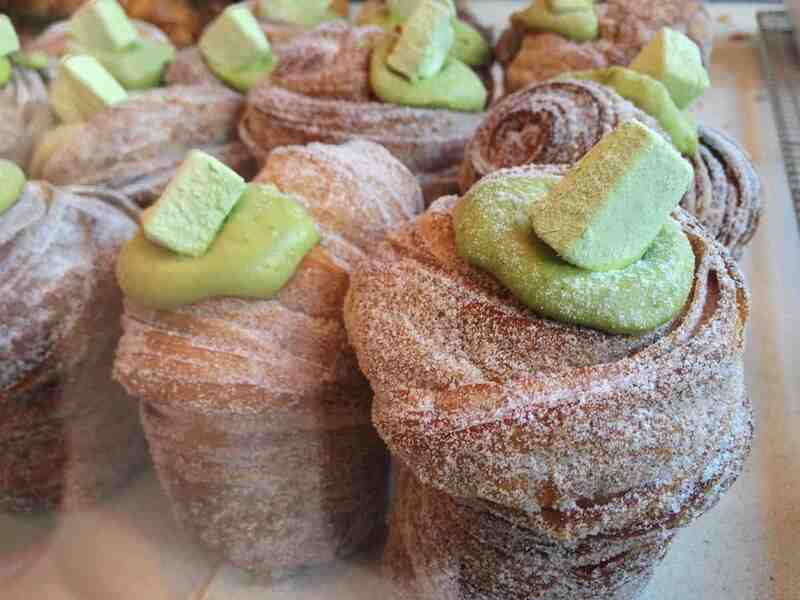 Following the cronut fame in New York, the cruffin is a cross between a croissant and a muffin. 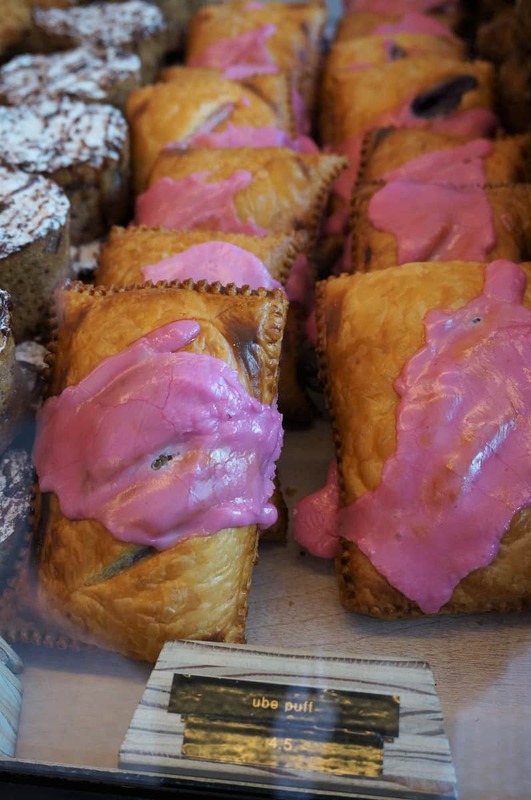 Located in a nondescript shopfront on Larkin Street in San Francisco’s gritty (some say seedy) Tenderloin district, the bakery opens at 8am and closes when it sells out of goods for the day. You’ll usually see a line in front on the block. 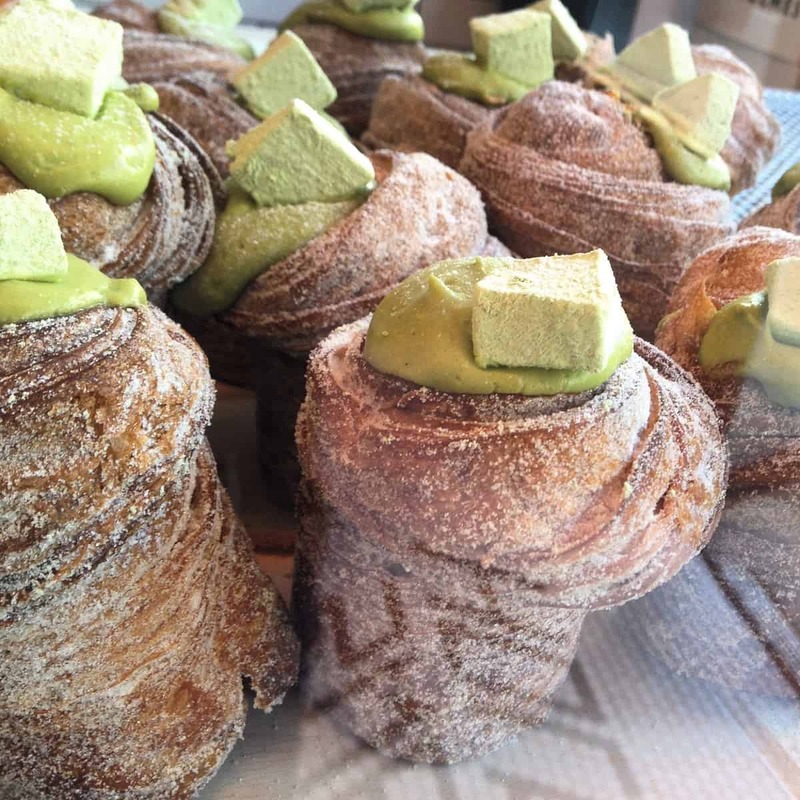 Cruffins come out at 9am, and usually sell out within the hour. There is a separate line for the cruffins. You can purchase their other baked goods while you want in line for the cruffins. I’ve only tried my luck on weekdays before 9am and was able to walk out with the cruffins. 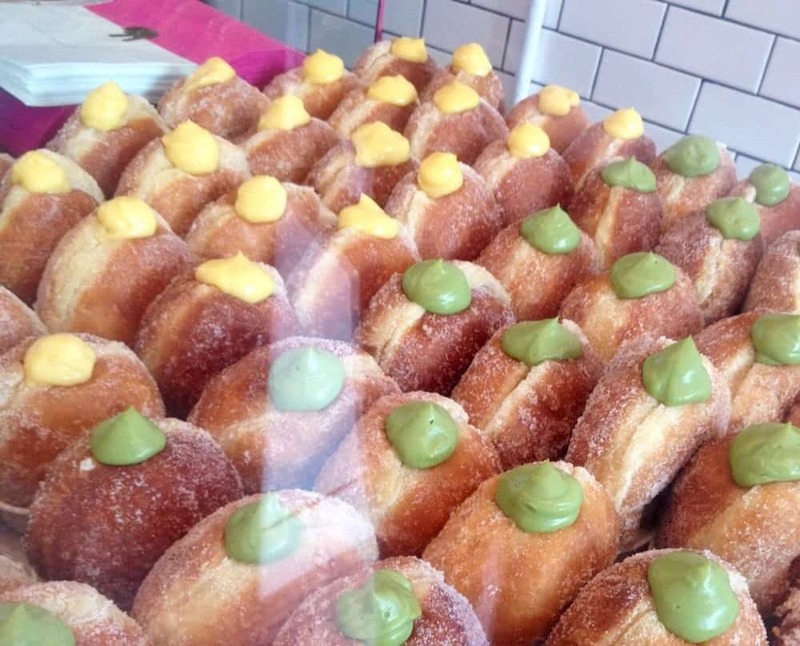 However, I’ve had friends tell me they arrived before 9am and cruffins sold out by their turn. 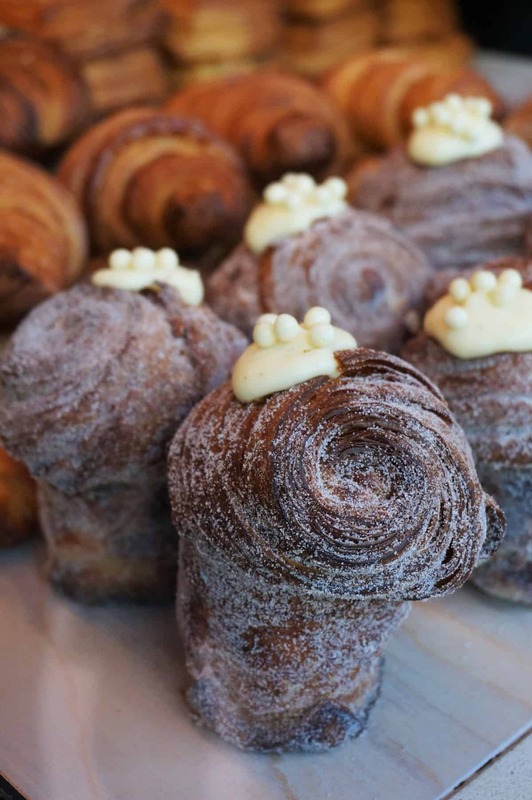 The bakery suggests arriving by 8:30am Monday through Thursday and by 8am Friday through Sunday for cruffins. Check their Instagram for the weekly flavor update for cruffins and donuts. 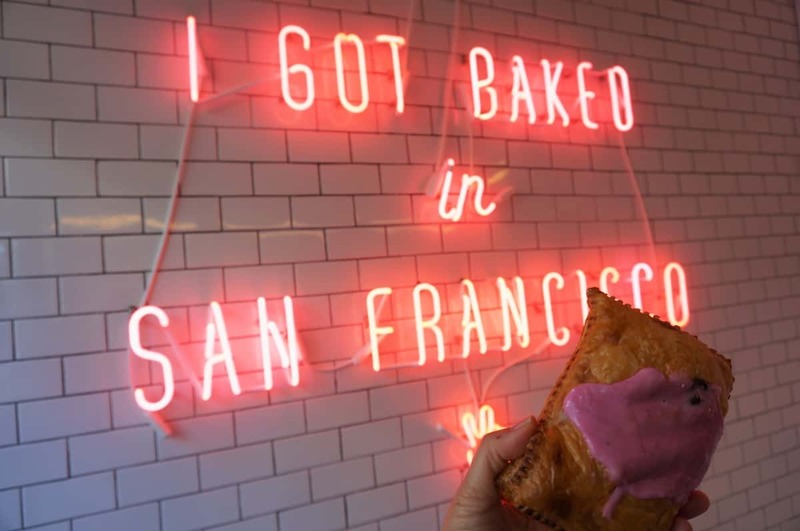 The design of the bakery – from the white, naturally lit storefront to the black and white floor tiles to the “I got baked in San Francisco” pink neon sign – are Instagram friendly which may be part of the reason for the bakery’s popularity. The other reason is the highly coveted and limited cruffin. They make one flavor a day. I only line up when it’s a flavor that I like, such as matcha. I’ve had a customer behind me in line walk away when he found out the flavor is matcha. They limit 2 cruffins per customer and accept credit cards. They’re very sugar laden and heavy that half a cruffin is enough for me. If you want their signature carry-out giftbox, you need to purchase 6 items. The key to enjoying the cruffin is to eat it right away. Otherwise the filling makes the cruffin very soggy, and it loses its shape and crunch. I prefer the cruffins’ crunchy texture to the cream-filled donuts. Other items that I enjoy are the ube puffs, filled with ube (purple yam) paste, and the strawberry jalapeno brioche bomb, but be warned that one is super spicy. I have not tried the other items as I stick to the cruffin. Mr. Holmes Bakehouse has opened a second location in Seoul, Korea, and is scheduled to open a third location in Los Angeles soon.